It’s already Fall and the holiday season is rapidly approaching. 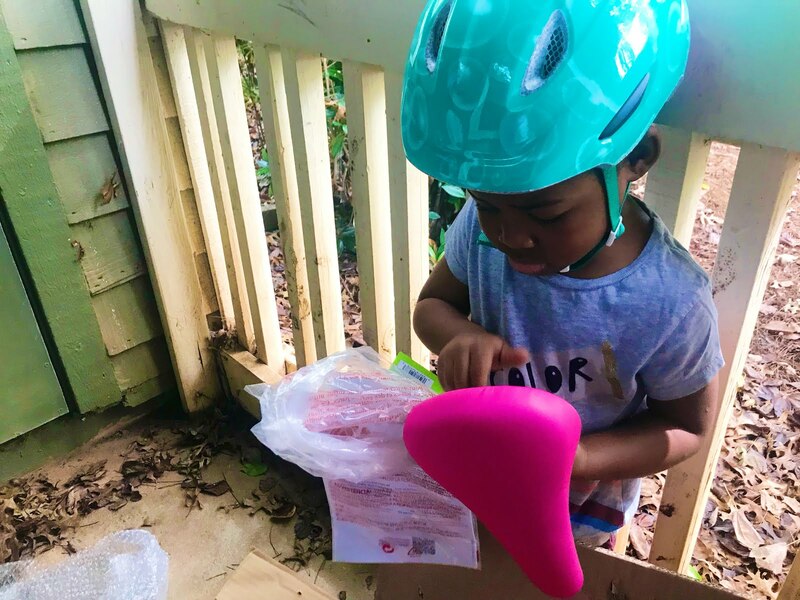 I know most parents are gearing up for the holidays and wondering what to get their kids this year for Christmas – particularly a gift they will actually enjoy after ten minutes. Most kids by the age of five and six, can’t get enough of the outdoors; especially mine! If they could sleep outdoors, they would. That’s why I am so excited to have discovered Huffy EZ Build Bikes. Bikes are always a great gift because they keep kids entertained for hours upon hours, multiple days a week and they grow with your children. Huffy specifically features a quick-release seat. So as your child grows, it’s a snap to change the seat height to maintain the right fit. Available at Walmart, Huffy is the only brand that has the EZ Build technology. My fiancé and the kids put these bikes together in less than fifteen minutes! It was super easy and so much fun for the kids to get to help out with building the bikes. 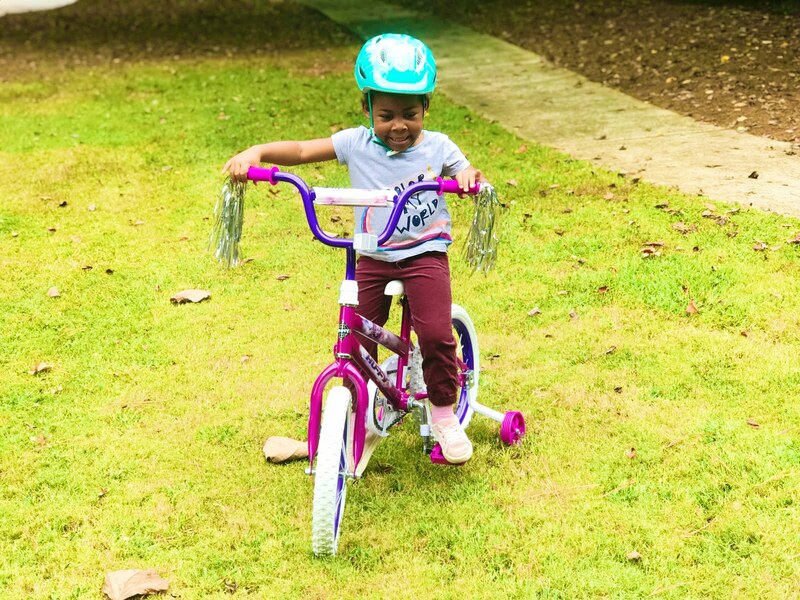 Not only is the bike a great gift, it’s also budget-friendly and gets the entire family involved. Let’s face it, our kids enjoy their independence and accomplishing things on their own. 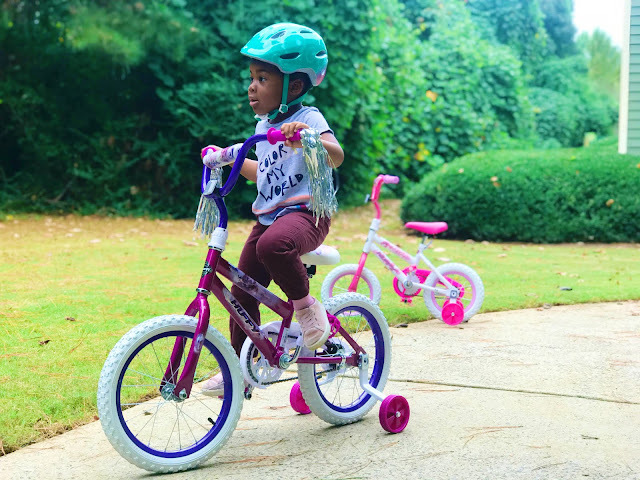 It’s also one of the cutest accomplishments you’ll witness as a parent – as their little feet pedal and they get themselves from point A to point to B. Not to mention the giggles! You don’t have to worry about purchasing the bike and spending hours of your time and numerous amounts of tools putting it all together. Instead, wrap it up and let it be an activity-oriented gift that the entire family can enjoy. Once it’s all put together, enjoy the outdoors and watch your kids eyes light up as they go for their first ride on their new bike, designed for durability, comfort and fun! It seriously gets no better than this! 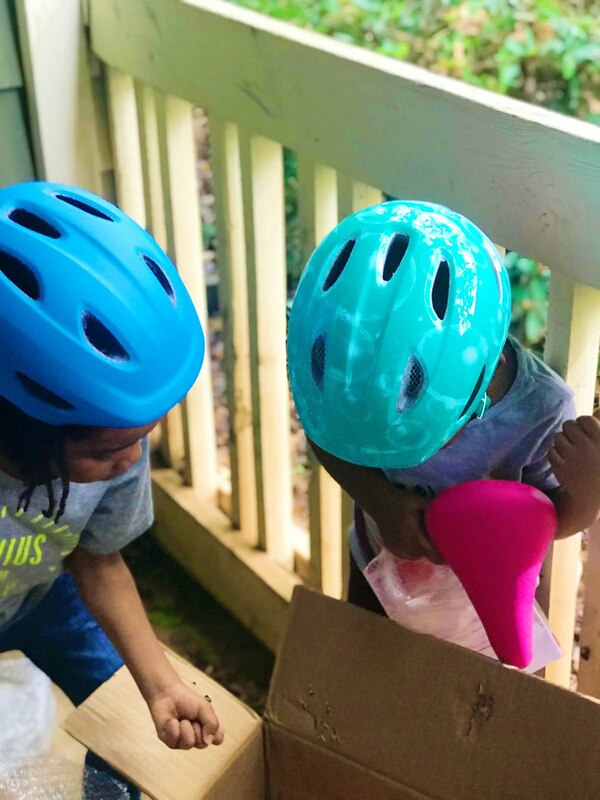 We have spent hours watching our kids enjoy their new bikes and they ask to ride them every single day. 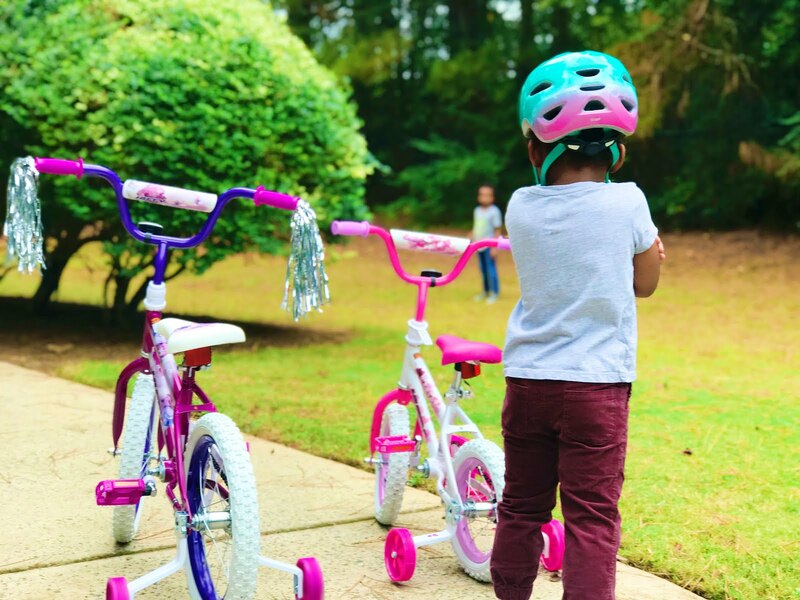 Get your lists ready and check them twice to make sure they include the new Huffy EZ Build Bikes, available at your local Walmart. Happy Holidays!